We've almost reached the point in the season where jackets are no longer needed. Yay! I have been loving a comfy lightweight sweater for these in between times. 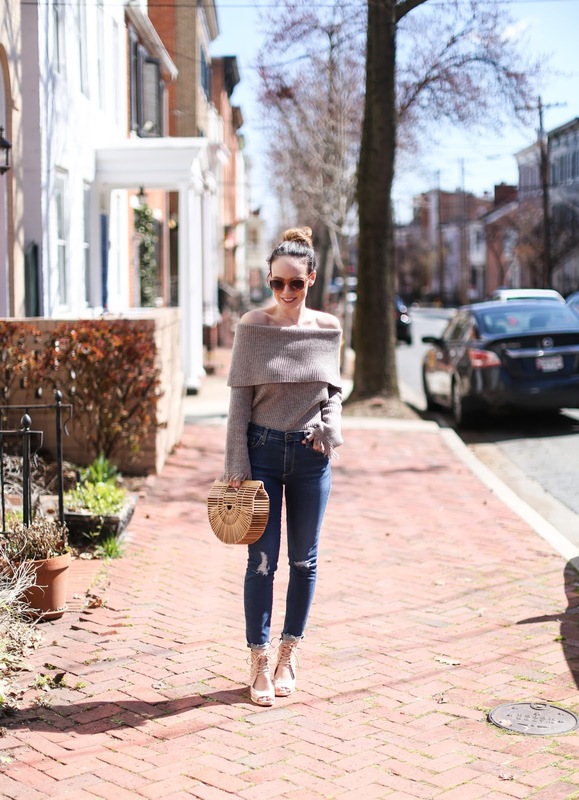 And while I love an off the shoulder sweater anytime, it's quite hard to wear during the winter when you have to cover it up with a huge coat. Springtime is perfect for this style! Hope you are having a great Thursday!